If you're looking for somewhere unique to visit for a day out in Kent, look no further than Broadstairs. 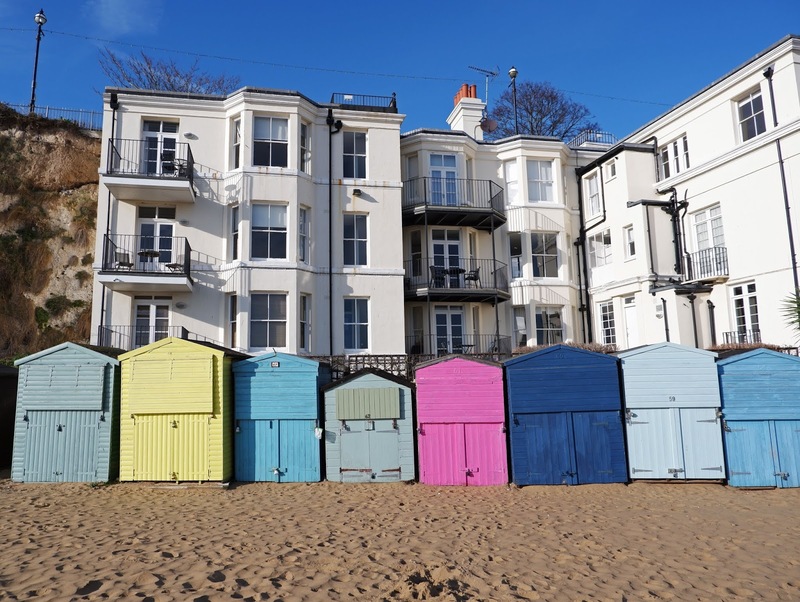 Located in East Kent approximately 40 minutes by car from Canterbury, Broadstairs is the perfect blend of nostalgic seaside town and colourful beach hut paradise. If you drive to Broadstairs, you'll be able to visit some of the town's gorgeous coastal sights that attract visitors from all over Kent. 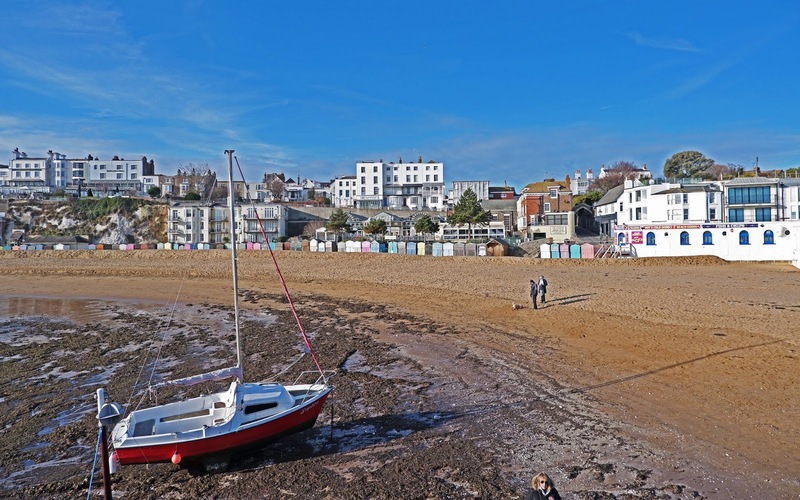 Whether it's Summer or Winter, you're bound to have a great day out at Broadstairs beach (Viking Bay) and Botany Bay. The beach huts are what makes Broadstairs for me, as they are painted such beautiful bright colours. The huts look so lovely against the golden yellow sand and they line the beach so well. Broadstairs beach is small but really well kept and there's even a wooden raised path to walk along if you don't fancy getting sandy toes or shoes. We recently visited Broadstairs in the Winter and I was grateful for the path. At the end of the beach you'll find a cute little hut, which stocks unique seaside gifts. If you're a souvenir collector like myself, definitely stop by the store for a seaside trinket or postcard. 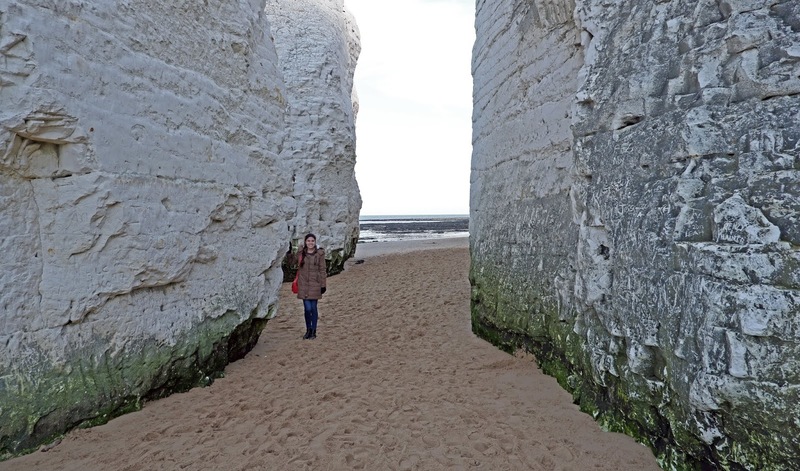 If you drive outside of Broadstairs centre and follow the coastline you'll find Botany Bay: one of the most beautiful coastal locations in Kent. With it's stunning white chalk cliffs and sandy beach it attracts lots of budding walkers, looking to explore the archways and cliff formations that the area is known for. 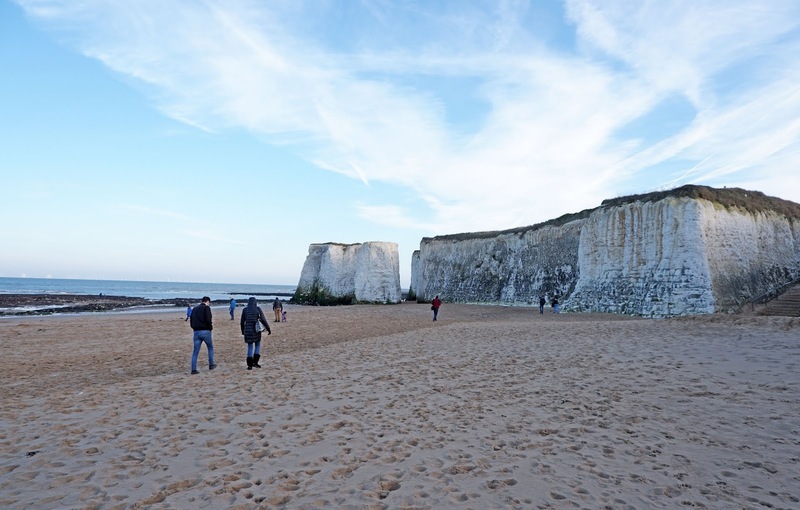 When we visited Botany Bay in January it was a brisk sunny day and the walking conditions were perfect. The sunlight was making the seawater a bright blue and the cold Winter air was so refreshing. 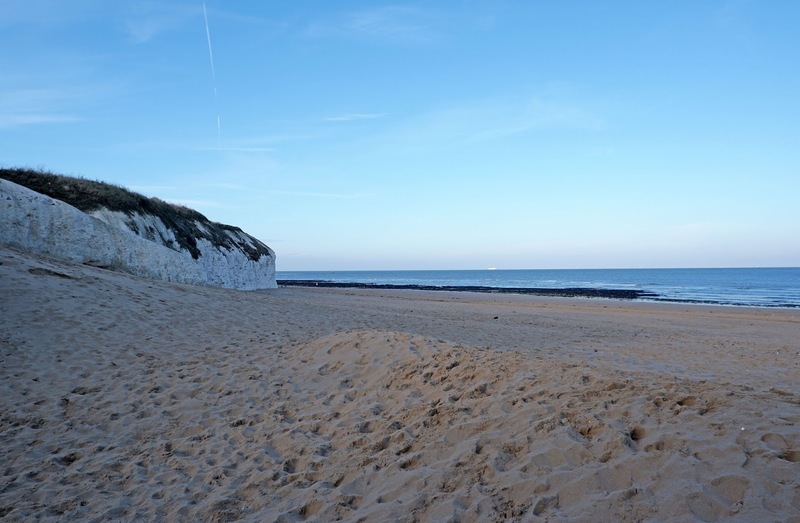 Botany Bay is much quieter than Broadstairs beach and this is largely because of it's remote, undisturbed location. When we visited the bay there were next to no people on the beach. Broadstairs and Botany Bay are great locations to visit for a day out on the Kent coast. We visited the area in Winter when the tourist footfall was low, but in Summer I'm sure it'd be even better as the sand would be warm enough to walk on and the water would be warm enough for you to dip your toes in. Having Broadstairs and other coastal places nearby is one of the many reasons why I adore living in Canterbury.